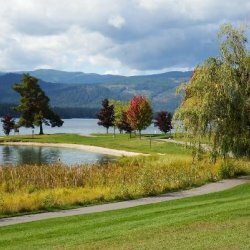 Situated on the banks of the Pend Oreille River, is the largest recreation area for the Albeni Falls Project, but still offers visitors peace and quiet and plenty of space to enjoy the scenic surroundings. Albeni Falls Dam was built in 1955 for flood control and power production on the Pend Oreille River. Today, the popular lake has the added benefit of providing visitors with countless year-round recreational activities. 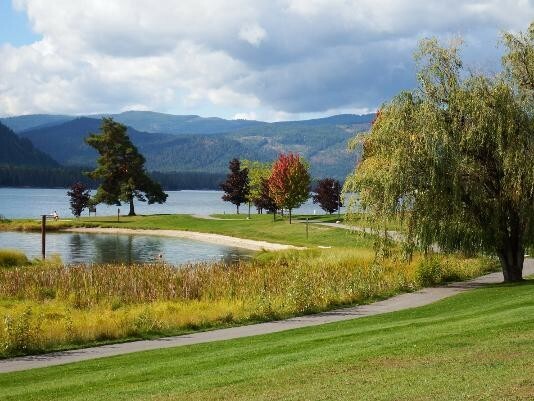 Lake Pend Oreille is surrounded by scenic mountains and is one of the largest and deepest natural lakes in the western United States, plunging to depths of more than 1,200 ft. in some areas. Riley Creek is the largest campground at Albeni Falls, offering 67 campsites, all with electric and water hookups. Two large reservable picnic shelters are also available. As long as all equipment fits on the site pad, Riley Creek allows for an unlimited amount of tents per site. The Albeni Falls Visitor Center features exhibits on the history of the dam and the natural features of the area. Tours of the dam are given daily during the summer. The nearby town of Newport, Washington, offers gas and grocery services.